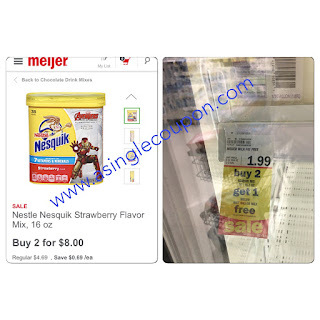 Meijer: Nesquik & milk deal! This deal is back!!! This week Nesquik is on sale for $4 each, plus when you buy 2 you get 1/2 gallon of milk FREE!! Pay: $6 total for all 3 items!